Thank you Starbucks for providing us with hot drinks and cakes during our chilly morning events! Thank you Bilingual Connection for contributing to the purchase of our beautiful trophies! Thank you American Library in Paris for your collaboration and support since the very beginning!! Thank you American University of Paris for your beautiful space and support! 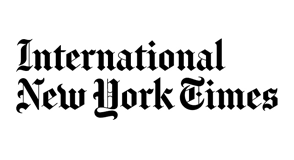 Thank you International Herald Tribune for donating stationery supplies to all the finalists and weekend edition of the paper to the parents. Thank you Office Depot for donating office supplies to finalists as well as small cameras and binoculars.